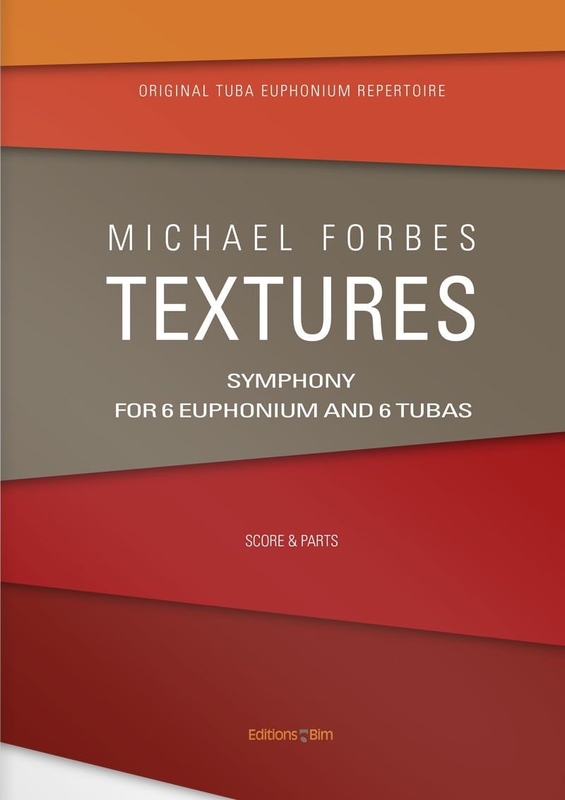 Textures is a symphony in three movements that explores differing levels of thickness in scoring and harmonic timbre. The first movement,Transparent, explores pentatonic harmonies, with intense multi-meter hocket and even a fugal structure. Rhythmic motives that permeate the entire work are introduced here. Translucent, slow and meditative, has a cloudy texture with its diatonic and modal character. The last movement, Opaque, opens with a recapitulation of the previous harmonic textures before exploring its more busy rhythmic, chromatic texture. The movement also recalls the various themes from previous movements before driving home its own theme followed by a rhythmic, bombastic finale.